This is great news for the many dot-maniacs and fans of Yayoi Kusama. The artist’s representatives announced yesterday that she was about to open her own museum on Oct.1. The Yayoi Kusama Museum, unsurprisingly, will be in Tokyo (Shinjuku). It isn’t a first in the art world. Several artists have already opened their museums or foundations in various geographies. Think Soulages in France, or Thomas Schütte in Germany. 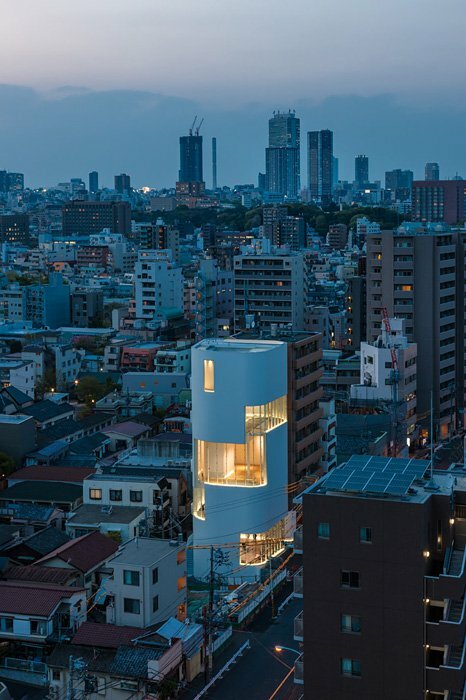 What’s more unusual, is the confidentiality surrounding the building of the Yayoi Kusama Museum. Until then, not much had been given away in terms of announcements. And it is only one month before the opening that the existence of the museum is being revealed. The confidentiality of the project is even more surprising when seeing the museum itself. The tall, curvy, white painted 5 storeys building stands out in a landscape of red and grey square boxes… and this has been so since 2014. Enough time for some passersby to spot some artworks by Kusama through the windows, but not enough to know what the building would be. The Yayoi Kusama Museum is a welcome addition to the Tokyo landscape and for the lovers of her dots and pumpkins. It will welcome temporary exhibitions, the first of which will inaugurate the opening on Oct. 1st. The show will display her latest body of works, titled “My Eternal Soul”. It will run until Feb.25th. On the other storeys, visitors will be able to view a curated selection of her works, including the successful “Infinity Rooms” installation which led 160’000 visitors to the Hirshhorn Museum earlier this year. An all-time record for the institution, and an unforgettable experience for the many happy visitors. The top floor will welcome researchers, providing a reading room and access to the Yayoi Kusama archives. The 1858 team is looking forward to exploring this new Tokyo feature when next travelling to Japan. Image : The Yayoi Kusama Museum, Tokyo. Photo by Masahiro Tsuchido © Yayoi Kusama.